Installing a solar power system on your Home, Farm or Commercial property can be a cost effective way to manage your power bills into the future. By replacing grid power with your own solar power during the day you reduce the amount of power purchased from the grid and therefore your quarterly power bill with the savings offsetting the investment made in your solar power system. In a standard grid connected installation the solar panels produce DC power which is converted to 240v AC by an inverter(s) to power your household appliances, any solar power not used is immediately ‘exported’ to the grid and you may be eligible to receive a credit from your power retailer for the power leaving your property. If your solar power system isn’t producing sufficient power the extra power is taken from the grid; at night all of the properties power requirement is drawn from the grid. In the event of a power failure in the grid the solar inverter(s) are designed to shut down as a safety measure therefore even if the sun is shining you wont have access to your solar power. 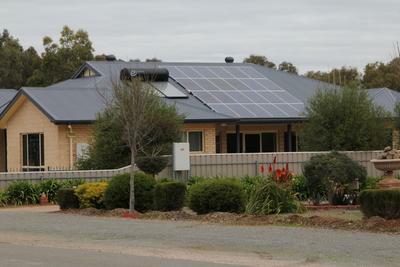 As part of installing a grid connected solar power system in South Australia it is a requirement to convert your existing power meter to a ‘Solar’ (Import/Export) meter so that power leaving your property is recorded.